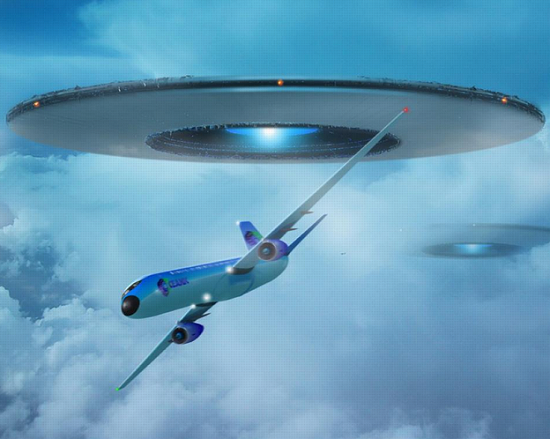 A passenger aircraft nearly had collision with an unidentified flying object above Glasgow. On the 2nd of December 2012, Airbus A320 was about to land to the airport in Glasgow when the object was noticed just 300 feet below the passenger aircraft. The pilot of the aircraft was shocked because given the distance between them and the UFO, a chance of collision was very high. The presence of the mysterious object did not show on the aircraft’s radar. UK Airprox Board investigated the incident but their investigators were not able to determine what the object was. During the near collision event, the A320 was flying with its landing lights on at an altitude of approximately 400 feet above in clear conditions over the Baillieston area of Glasgow. Both the pilot and non-flying pilot reportedly saw the object that was looming ahead at a range of around 100 metres. The object just passed directly below the passenger aircraft before the pilots took action to avoid it. They were in shock for a moment and the incident hardly registered to their mind at first. The pilots described the object as having a blue and yellow or silver colours with a small front area but larger than a balloon. The pilot then asked the Glasgow Airport controller if they noticed anything flying in their opposite direction and passed just below them. The controller then responded that he did not receive any communication from anyone in that area and not even their radar detected an object that almost made a collision to A320. The Air traffic control stated that while they did not trace any other objects in the area during the reported time of incident, they had spotted an unidentified track history at 1.3 nautical miles east of the position of the passenger aircraft 28 seconds later. Where is the source for this information? more proof that our skies arent our own ufos everywhere invisible to naked eye &amp; radar yet are visible when it suits them ?